Hey guys! Today's post is on another FingerPaints LE collection. It's the Ashley Tipton Project Runway Collection! 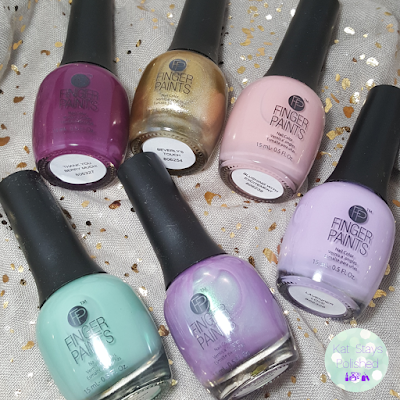 This sweet set of 6 contains colors that are perfect for Spring and reflects the style of none other than Project Runway Season 14 winner, Ashley Tipton.These shades scream my name - maybe her and I can be besties, lol! 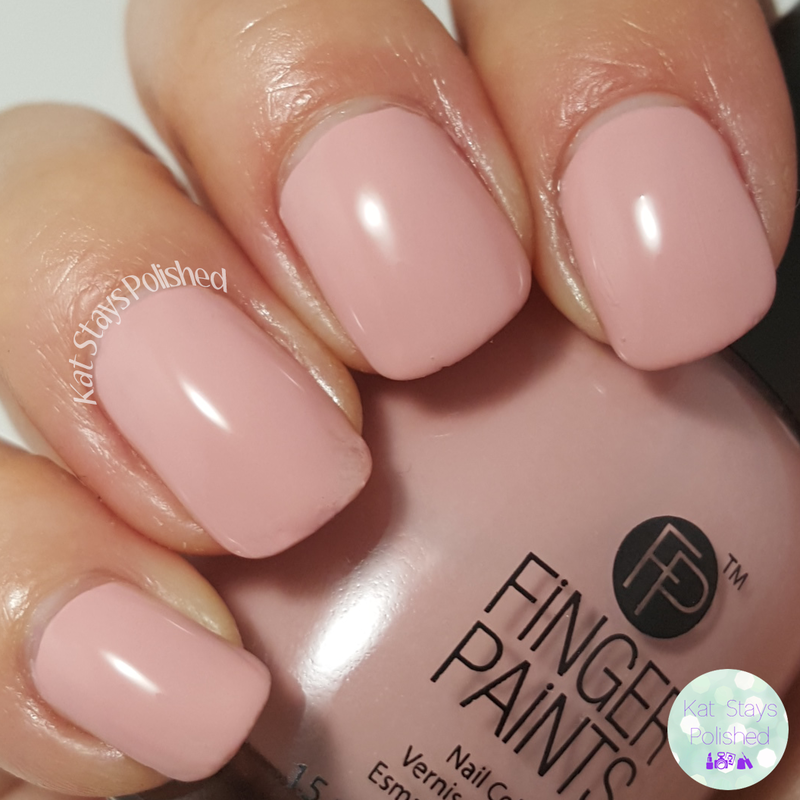 Blushing with Excitement is a gorgeous baby blush pin cream shade. 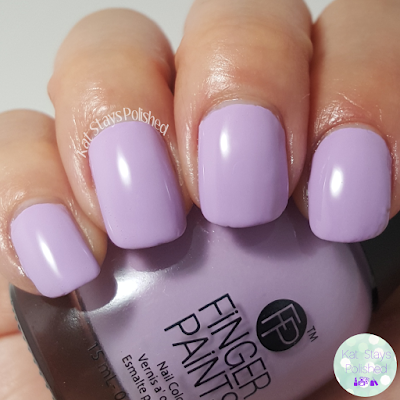 It's so smooth and though it slightly falls into the pastel category, I am in love with this color. I'd make this a bridal shade to be honest. It's definitely delicate enough to be part of a bridal collection. I applied 2 coats with no issues. Party Teal Dawn is more of a muted minty shade than anything. Of course I love this shade and of course I will be gawking over it for the next few weeks. Again, 2 coats and it was perfect. 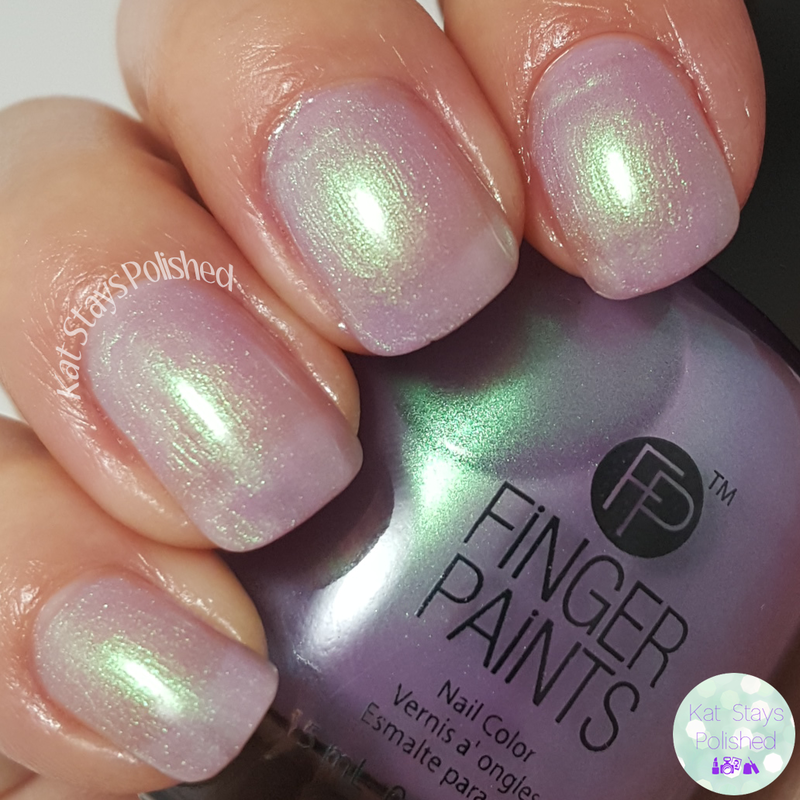 I can usually get that result from most FingerPaints shades, which is amazing. Lavender Love - my goodness you guys. 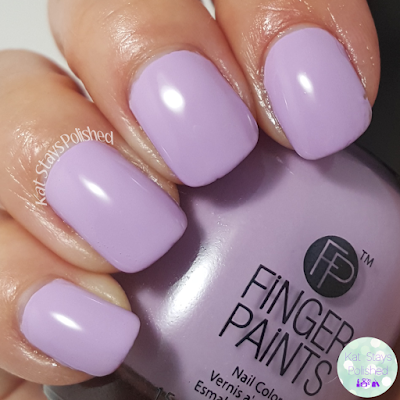 This is the PERFECT pastel purple shade. It absolutely remind me of Spring and everything pretty that pops up in all the gardens. If you love purples, please go out and get this shade. You need it. Like yesterday! This color is called 50 Shades of Ashley and it's this beautiful iridescent lavender shade that would actually look amazing over Lavender Love. I used just 2 coats for this swatch and I was happy with the way it looked. Again, this shade would look perfect in a bridal collection. I wouldn't think twice if I saw this shade as part of one. Thank You Berry Much is a plum/wine shade that applies so smooth and flawless. If you're into berry shades, this one's for you! I used to wear shades like this back in the day. I don't think I have enough shades in this category. I need more! Beverly's Touch - a play on the Midas touch I assume. 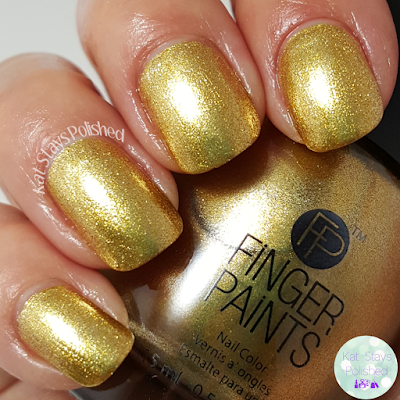 This is a super shiny metallic gold shade. It looks like gold is just dripping off of my nails! 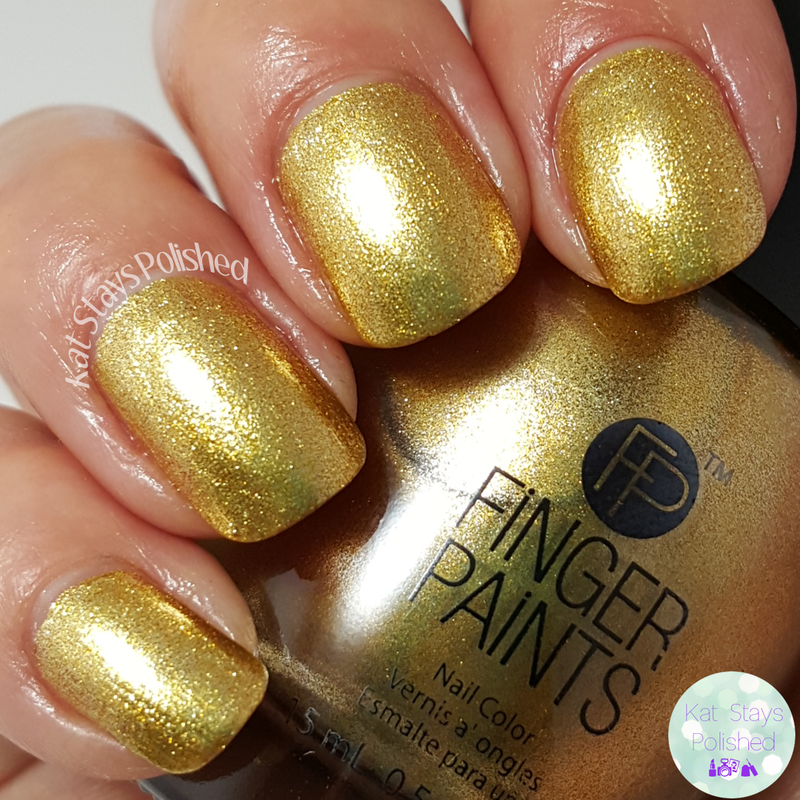 This is just 2 coats - the perfect gold manicure! What do you think guys? This collection will be available at Sally Beauty stores and online sat SallyBeauty.com from April to June of this year. Be on the lookout and pick them up! You won't regret it! Some great colors for the season! Blushing With Excitement and Party Teal Dawn are my kind of shades. Love 'em!! Beautiful for Spring! I especially love 50 Shades of Ashley. Subtle enough for work but has enough oomph. I love the purple. I bet 50 Shades of Ashley would be wonderful over it. I love those colours. They are just the thing for Spring. I was so glad when Ashley won Project Runway--these colors look just like her fashions! Love the purples. I would layer that sheer one on top of the other purple shades. Ohh all of these look lovely! I was so happy for her win, and loved watching her plus-sized collection rock the runway! I will definitely be on the lookout for this collex, as I love all of it! Blushing with Excitement is a total me color. Lavender Love is my favorite. So pretty! This is such a pretty collection for spring! These are pretty colors. 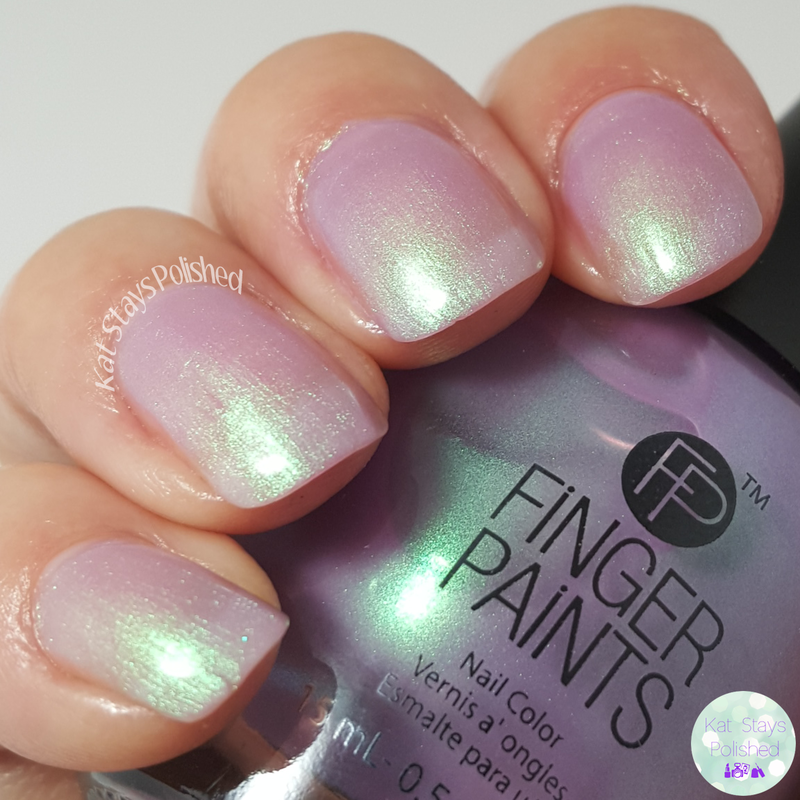 Fingerpaints is one of my favorite lines and I love their gel hybrid as well.